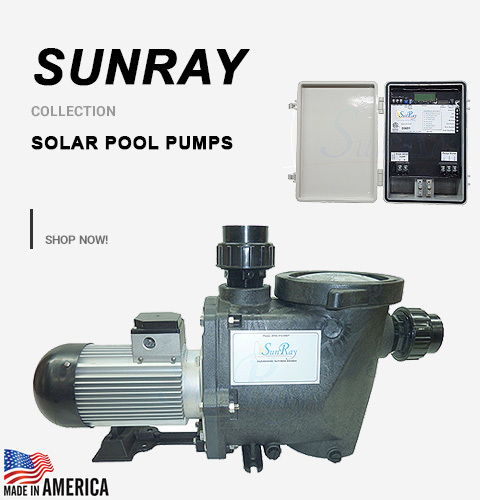 Save money and energy with the floating, solar-powered Savior NCSF30 pool pump and filter system from Natural Current, which runs silently from just the power of the sun. You'll be able to turn off your inefficient, noisy, and expensive-to-operate pool equipment and both reduce pollution and save money. The Savior eliminates over 17,000 pounds of pollution per year and it can pay for itself in as few as 7 months. The Savior pumps up to 5,000 gallons a day through three reusable 20-micron filter cartridges. 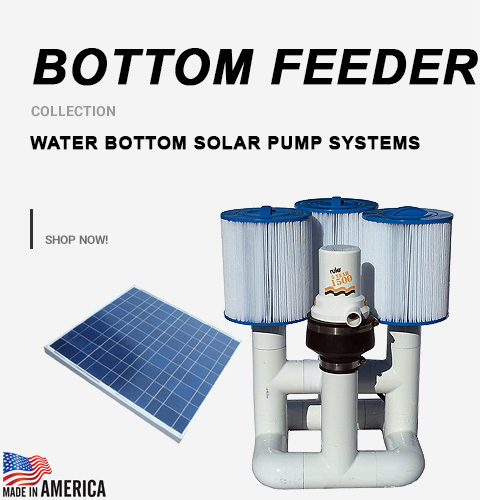 You will only need to occasionally clean out the filters, and then place the solar pump and filter back in the water. As opposed to common sand pool filters, with the Savior's cartridge filter you never have to worry about getting sand in your pool. 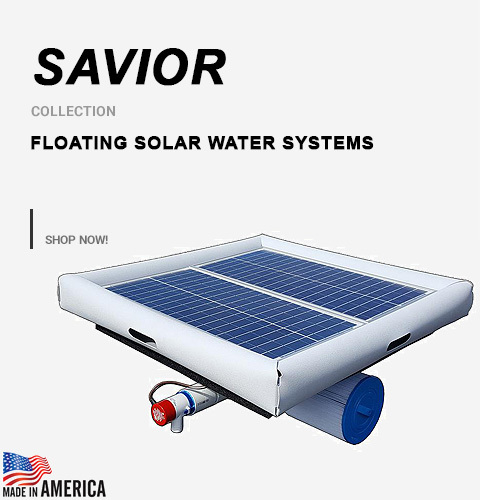 The Savior is powered by a 36-watt, 12-volt policrystalline silicon solar panel made of tempered glass and measuring 25.7 x 25.2 x 1.38 inches (WxLxH). The unit measures 35 x 35.5 x 12 inches (WxLxH) and weighs 38 pounds. 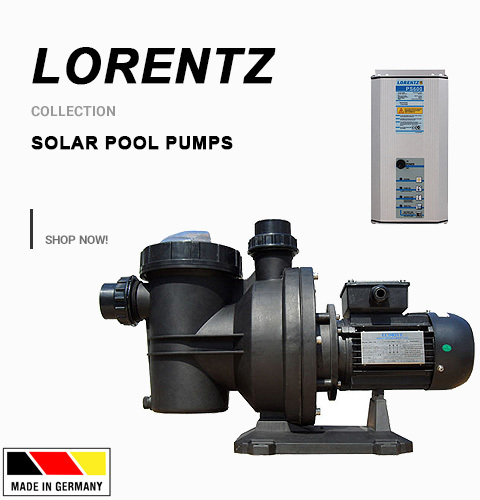 The pool pump's solar panel has a life expectancy of 10 to 30 years, and you can expect to spend approximately $100 every 2 to 3 years on normal unit maintenance (including replacing the pump/motor and filter). 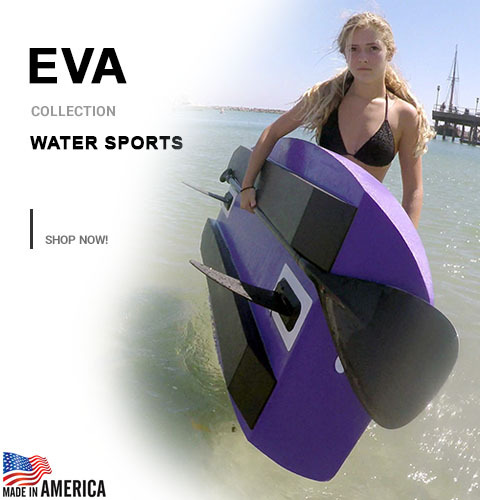 It's backed by a 1-year limited warranty. Made in the USA.